Asda believes that the Blu-ray player will finally outsell DVD players this Christmas, with GfK data convincing the UK supermarket giant to focus on the more modern format. Pointing to a "more subtle, though significant, difference in image quality" as the reason it's taken five years for Blu-ray to flourish, Asda believes that the tipping point has been reached. Wayne Steenson, vision expert at Asda said: "More and more UK homes are now equipped to enjoy the full benefit of high-definition Blu-Ray discs and we're pleased to be offering Blu-Ray players at the lowest price in the market." Asda is selling a Blu-ray player for £40 for the UK, with the ONN player offering a cheap entry to high definition spinning media. Blu-ray has had to battle for this belated supremacy, fighting through an ill-judged format war against HD-DVD that did not help either in the race to replace DVD. But the true threat appears to be coming from download –with people turning to digital HD versions of films and televisions in an increasingly connected world. 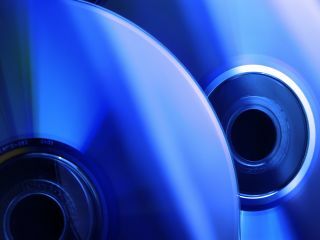 However, the tangible qualities of owning something solid remain for many, and after five long years it appears that Blu-ray is finally moving past its popular predecessor.